I will be entering a new age decade in approximately 18 months. Clearly I am not happy about that fact, since I have already begun the dreaded count down. My anxiety is increased when I see blatant signs of my impending doom. This weekend, while waiting in line at the grocery store check out, I saw this magazine cover and discovered that, at least according to the perky folks at People Magazine, I will not only be in a new decade, but I will apparently be in the “Beyond” category. Really? Once we’ve moved through the 20’s, 30’s and 40’s, we lose our youthful identity and are just considered…. Beyond? Beyond what? Our prime? And apparently we mature ladies are grouped together so ages raging from 50 to 100 are now…. (cue superhero music) …The Beyonders. Perhaps I’m just being too sensitive, but the headline even feels like some kind of backhanded compliment. We women can be attractive even when we are beyond. Gee, thanks. Of course like all women’s magazines on the market, the photo is of flawless celebrities. So if we can just pull off looking like them, then we’ll be gorgeous. That’s all it takes. Piece of cake. We Beyonders have daily reminders of our stage in life, so we really don’t need a magazine cover to point out our supposed-past-prime-status. Perhaps it is our duty, as the new group of superheroes, to give those 20-30-40’s a glimpse into their future. So here, dear Primers, we present a few tidbits you can look forward to, that those glossy magazines won’t tell you. 8 hours of Uninterrupted Sleep: the Myth, the Legend. Enjoy a full night’s sleep now. Once you become a Beyonder, it will never happen again. Your bladder will become the size of a pea and will not last longer than 5 hours at night without needing emptying again. You will also have a brain that will not remain at rest, and hot flashes that will wake you by soaking you in sweat. Come on, really, can anyone read this without squinting? Fine Print, the Enemy. You will no longer have a prayer of reading anything less than size 9 font. 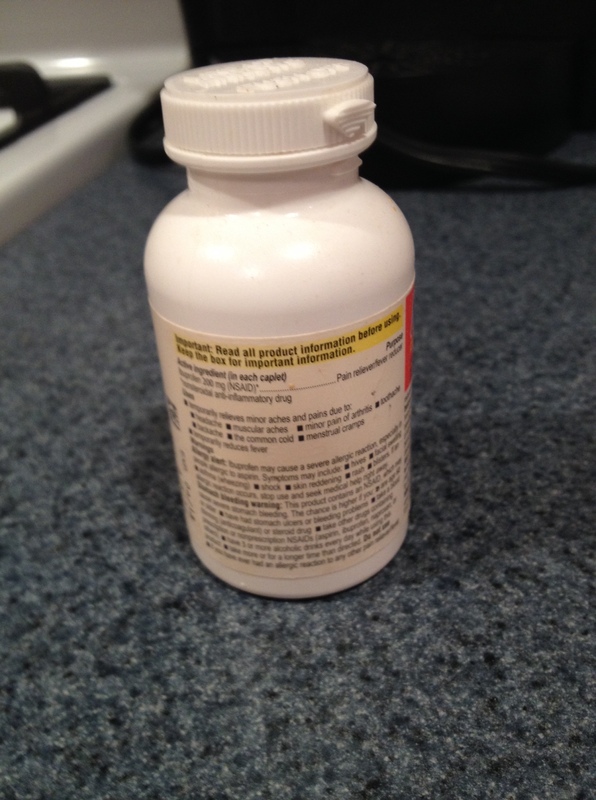 In particular, I believe the text on medicine bottles is printed by some young person with a sick sense of humor. There’s nothing worse than trying to focus on the tiny print to determine dosage while experiencing a blinding headache. Weight Loss – Scaling Mount Everest Would Be Easier. I fondly remember the days when if I needed to lose a few pounds, I simply cut back on my food intake a bit, kicked my exercise level up a notch and ta-da, I slimmed down. As a Beyonder, weight loss is no longer an easily achievable task. Extra pounds settle in to the midsection like an unwanted guest that won’t leave. Drastic measures have to be taken to reduce poundage, like cutting out all carbs and grains. I admire those who are willing to take that step. As for me, after a lifetime love affair with bread and pasta, I just can’t turn away now. The Perky Tatas Makeover. Sure, you expect gravity to kick in and pull your perky girls south. But no one also warns you that they stop looking like identical twins, and more like angry sisters. They can independently change shape, size and direction at virtually any moment, and the joy of finding a pretty bra turns into the quest for armored support. Primers, don’t be afraid of the future…because fear will do you no good. Trust me, I’ve found that out. Change is inevitable. However, just remember that like all good superheroes, The Beyonders have super secrets. And in those secrets lie the fact that there are some pretty amazing and wonderful things to look forward to as well. You’ll just have to trust us on this, because we aren’t going to give away those secrets yet. Besides, why spoil the surprise? This entry was posted in age, beauty, Health and tagged 50's, maturity, real women, Reality, stages. Bookmark the permalink.